Limo journey is a fun experience without any doubt, but what can make them really unforgettable are the cool moments spent inside them. If you are after a party or night out with a bunch of friends, why not pursue limo rental in White Plains by Cross County Limousine. We are available 24×7 at 914.330.3010. Feel free to call us! No matter you are a local, a corporate executive or a leisure traveler in need of luxury and safe ride around the New York, limo service option is always there to serve your needs. It assures stylish, comfortable and stress-free chauffeur driven transfer to the airport, business events, Broadway shows, wedding parties, prom nights and many more such special events and occasions in the city. With courteous and experienced chauffeurs behind the wheel in the New York limo Service, you are likely to experience a more peaceful and comfortable ride to major attractions in the city and its surrounds including Yonkers, Bronx, Westchester County, Bronx and White Plains than on your own. Airport Pickup & drops to be in time as per the Flight arrival and departure; Wakeup and Pickup of VIPs are a part of this facility to ensure you reach in time for a check in. Before you take a ride to the airport or plan a city tour or celebration of any personal or professional event like an anniversary or a business conference in this high-end City, reserving New York limo service is worth. Even though you have no idea of the city locations, routes and the traffic it will feel safe to ride in luxury limos in NYC in any season and at any time. While sticking to your travel schedule, chauffeurs will take you to the desired destination with super comfort and ease, making your city transfers an unforgettable affair. From the standard and stretch limousines to the oversize party buses, every option will be at your disposal to serve the accommodation along with your requirement for style, luxury, safety and comfort. But you may not be lucky enough to have first-class New York limo service experience the first time or every time. With a continuous rise in the number of New York limo rental companies, it may become too difficult to find the right one for your needs. So, you are advised to check for a few critical factors in the limo service providers of the City and confirm the one which can serve your transportation requirements the very best. Here are given some crucial factors that you need to check for a first-class New York Limo Service experience all the time. Your New York limo service provider should have a great reputation in the city and its surrounds for serving customers with dedication and honesty. It should treat everyone, including local residents, foreign travelers and corporate personnel equally while providing him with an unmatched level of luxury and safety in limo rental service. Does it offer the best fleet and the latest models of vehicles for your choice? Make sure that the fleet available for New York limo service is perfectly maintained and includes all luxuries required for making your ride special and pleasant. The New York limo service should bring you the joy of riding in comfort, luxury and style but with reasonable and special limo rental packages to make your experience an unforgettable affair. Customer satisfaction should be valued most by the New York limo service provider. It should strive for easy and convenient features so that customers can book fast a timely and luxury limo service in New York and around. All these factors should be checked before using limousines in NY. They will surely turn out to be a first class experience for you with all these and more. Cross County Limousine, Inc is a leading ground transportation company in New York offering top quality limo services for personal and professional transfer of customers in NYC on demand. It commits to maintain the highest standards of safety and luxury for providing stylish, comfortable and affordable transportation to customers throughout the New York City, Yonkers, Westchester and Bronx. Book New York Limo Service with Cross County Limousine at 914.330.3010 for a fantastic riding experience on every occasion! You can even mail it at info@crosscountylimousine.com for any query regarding New York limo rental service or package. Prom nights & limos go hand in hand. Every year, thousands of teenagers enjoy this special night in their lives and they really work hard to make this night perfect. And no doubt they prefer a limo ride to make this night even more special. The reason behind it is, prom is a special day in every teenager’s life and what could be a better way to make this special night even more special with a Bronx limo services in New York. Today limos are readily available to make a prom night enchanting and glamorous. We know how important and special your school prom is and we’re here to ensure you find a limo that best fit your prom traveling needs. It is your last day in high-school, and you have always dreamed of arriving at your prom on a limousine full with your buddies. Just imagine about the grand entrance you’ll make when you come out from a sleek, black limo. You will get the feeling of a celebrity and we know you deserve it. One of our professional chauffeurs will pick you & your buddies up from your designated site, and then drive you towards the celebration in the safest possible manner. During the trip, you’ll have the luxury to live it up with the latest amenities we offer including posh sitting, surrounding sound system, Plasma TV, tinted windows, mood lighting and anything luxurious you could imagine. The advanced speaker system will blow away your mind practically as you always have the liberty to play your favorite tunes with full volume. The cool disco lights will bump you into the partying mood right away. Flick through the channels on the LCD TV screens located around the Limo, and play your favorite DVD album on the DVD player. There is so much to keep you as well as your buddies entertained inside our beautiful Limousines. There are quite a few limo brokers around New York who don’t have limousines at their disposal. What they do is book a limo for you through a limo rental company and get a hefty commission from them. Why should you book a limo for your special night with them, when we have the luxury to deal with a direct limo rental company like us and save considerable amount of money. For advance booking of a Bronx limo service in New York for your prom night, call Cross County Limousine, at 914.330.3010. 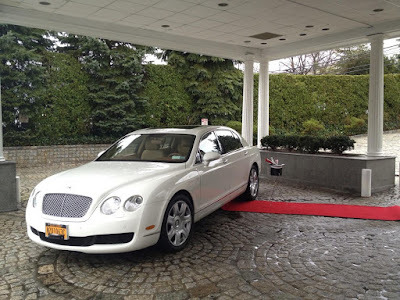 Luxury limousines for rent are available for all occasions such as wedding, business, airport transfers, prom nights and bachelor party in Connecticut. Professional limo services have become quite popular in the last few years due to its cost-effectiveness and luxury. You can enjoy comfortable, stylish and opulent ride in an elegant fleet by booking a reliable limousine rental in Connecticut. Do you want to enjoy an exemplary limousine service in Connecticut? In this case, you need to keep a few things in mind and follow some tips that will help in avoiding potential problems and enjoy a top quality limo service. Please read on! Whether it is business conference, wedding or prom night in Connecticut, it is always wise to book early a limo service. Luxury limos are readily available but booking in advance a limousine service will give you the opportunity of getting a desired fleet. 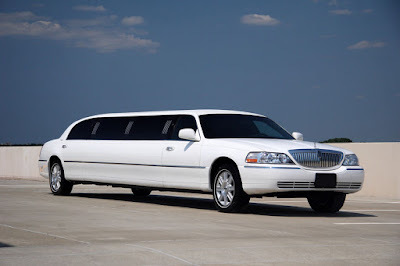 Generally limousine service providers in Connecticut are found to be busy on weekends and spring season. Booking ahead will help you in avoiding any kind of last minute chaos. You will get a profitable deal by selecting a perfect limo package by a reliable limo service provider in Connecticut. This will help in making your special event extra special by getting assistance of professional chauffeurs and first-in class limousine service. To get top quality service and best limo rental package, you should not hide any details from the limousine service provider. To enjoy a stress free ride, you need to discuss your travel transportation details with the company in advance. The limo service provider will plan accordingly your transportation by keeping in mind your requirement and traffic issues. In case of wedding or prom limousines, you can discuss about a detailed transportation service that will ensure safety and convenience. No one wants to be cramped up in a luxury fleet. To enjoy a comfortable and luxurious ride, it is important in choosing a right kind of limousine fleet. You can choose a limousine service provider in Connecticut who is capable in providing great selection of exotic vehicles that can suitably accommodate every passenger. Apart from this, you should choose a right kind of fleet that will spice up as well as add glamour to your every special event. Reliable Connecticut limo service by Cross County Limousine will prove to be the best in industry that will offer a luxurious and stress free transportation. We assure you of providing an unparallel limo service with safe, stress free and stylish chauffeur driven transportation in an elegant fleet. We also offer affordable limo rental in Bronx, Yonkers, White Plains and Westchester County areas of NYC.